Every layout needs a tunnel! 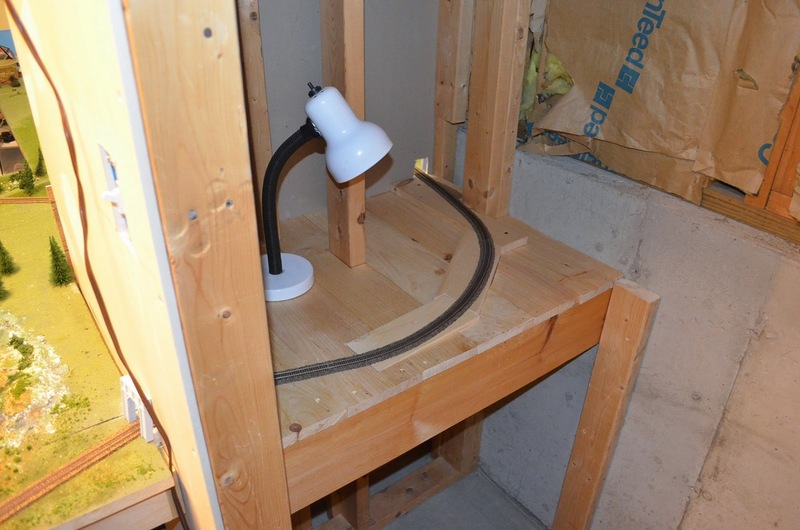 I built a table in the closet to support the track as it ran through the “tunnel”. 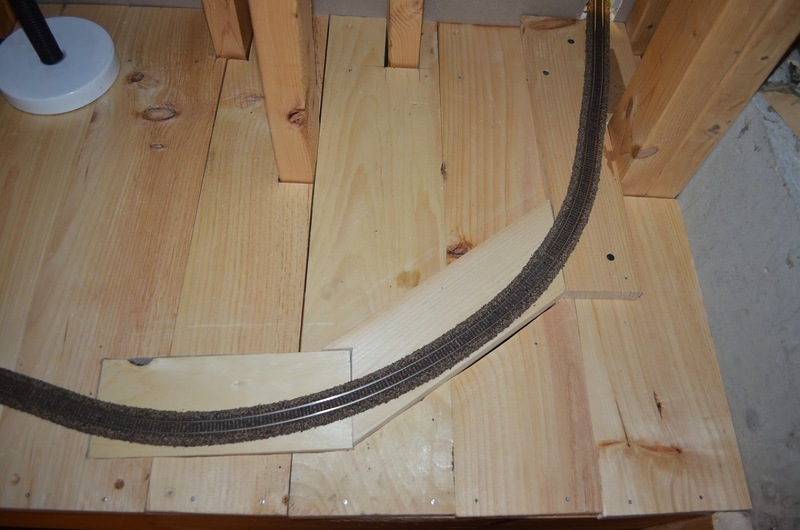 The track is positioned such that a second line could be run to the inside of the curve. There is the possibility of adding a helix here as well. Detail of ramp: 3/4″ rise. This entry was posted in Uncategorized and tagged Atlas, Bench-work, Code-55, layout, Tunnel.